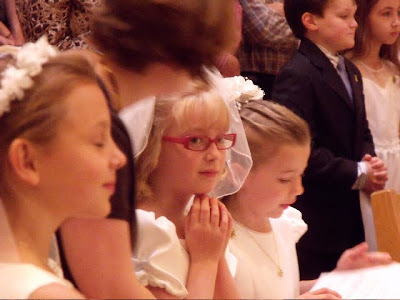 We are extremely proud of our eldest, Clara, not only for being who she is but especially because she has great spiritual maturity for her age. We have seen this in her for years, and she's only almost 8 (in June). 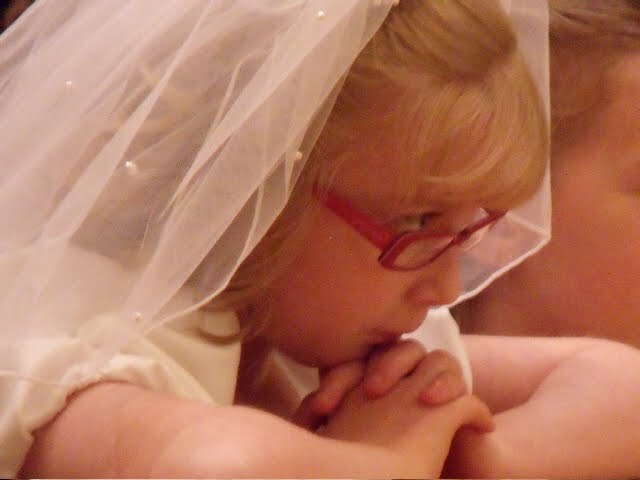 She has always approached her faith and pursuit of holiness with such reverence and seriousness and purpose, it's at times amazing to witness. 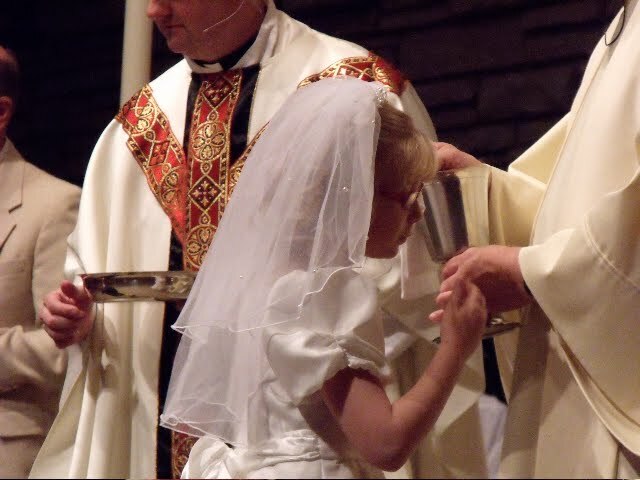 So, when Clara's first Eucharist approached, we knew this would be the highlight of her year, and indeed she was sooooo excited! 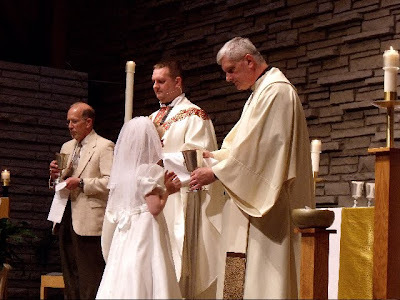 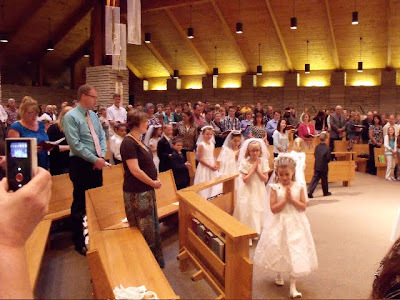 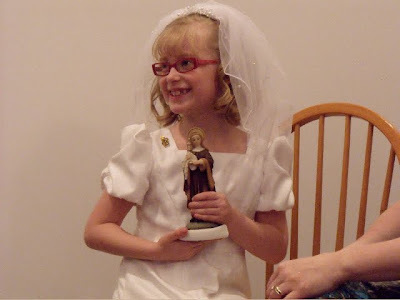 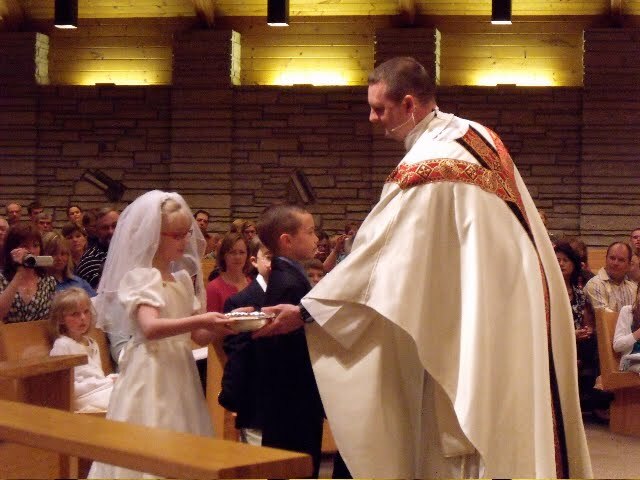 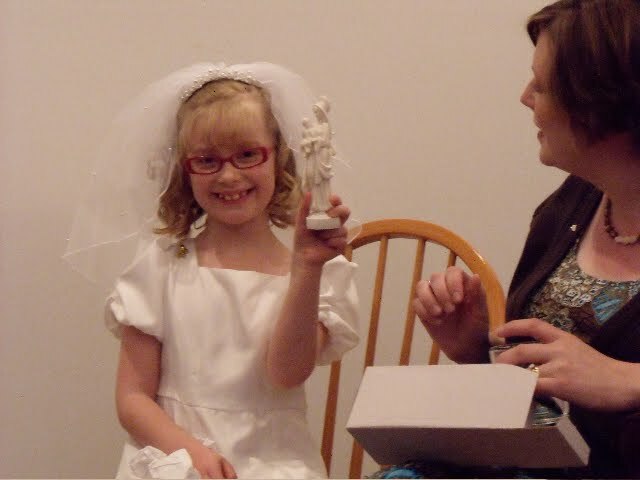 Molly and I were both privileged to teach Clara's first sacraments class at the Church of St. Paul in Ham Lake, MN and were able to see her grow in her appreciation for the Eucharist and for the sacrament of reconciliation throughout the year. 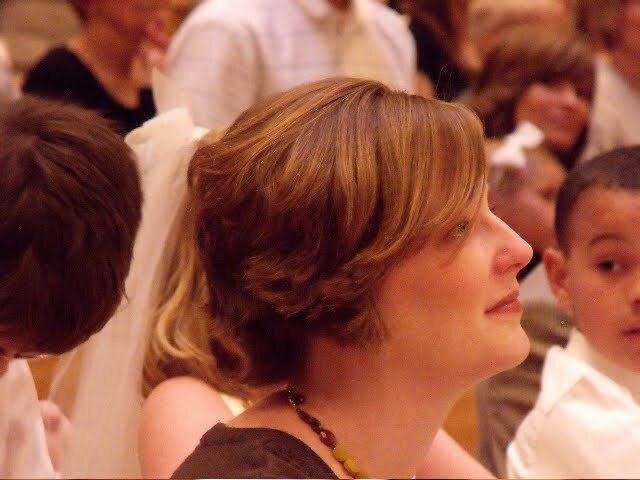 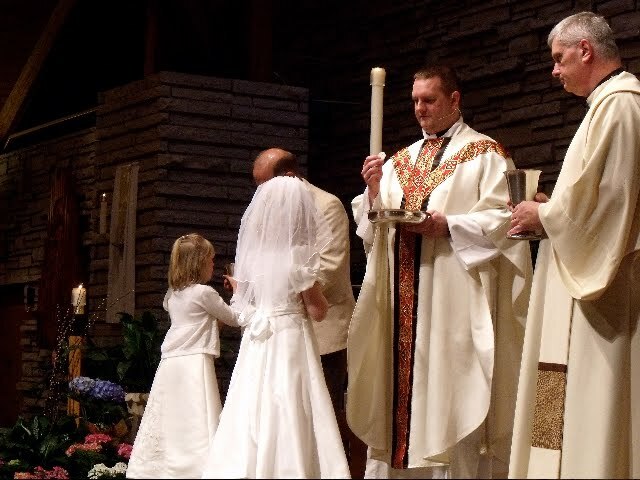 As each passing day went by, getting closer and closer to her first Eucharist, she talked about it more and more until it was basically all she talked about for a few weeks straight. She also knew how important this moment would be for her faith, and how this physical reception of Christ into her body must be accompanied by (and would aid) an ever-growing spiritual acceptance of Christ into her heart and soul. 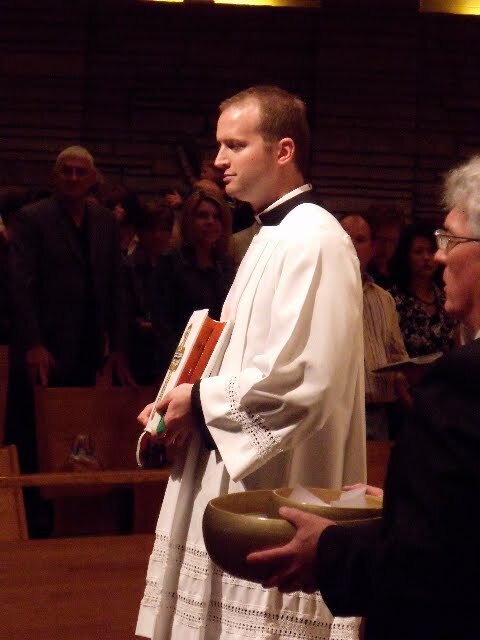 Clara's Godfather, uncle Evan, served at the mass. Clara's even more excited to go to every mass now!